When the #1 team in Broward, and the #2 team in Miami face off in a midseason matchup, one can be assured that sparks are going to fly, and the hundreds in attendance Wednesday night at American Heritage were witness to a treat. American Heritage and Westminster Christian did everything that would be expected from two of the top teams in the state, if not the country. There was dominant pitching performances, clutch at-bats, perfectly executed situational plays, defense that could be seen on any Major League field on any given night, and most importantly, two dugouts fully invested in the outcome. 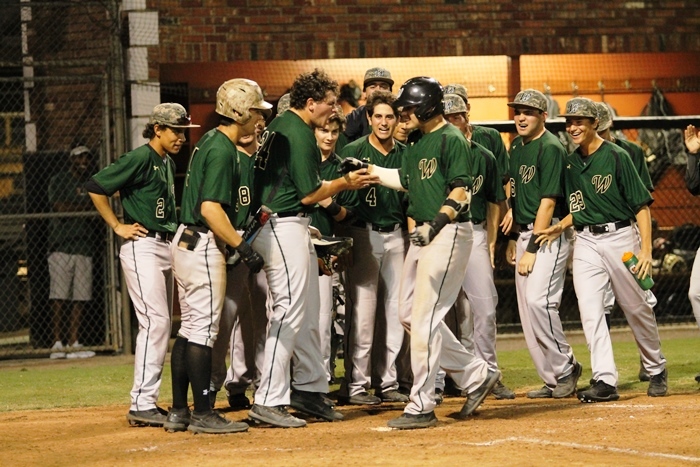 The Patriots and the Warriors put on an 11 inning show, and in the end, it was Westminster that walked away with a 3-2 win. To tell this story correctly it has to go back to the very beginning. 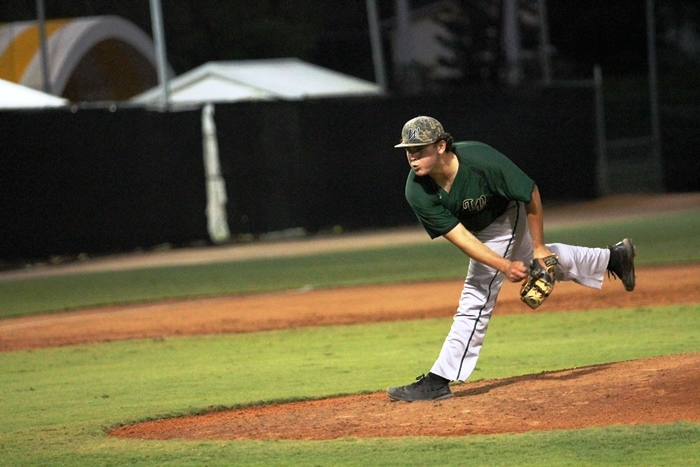 Ryan Cabarcas, one of the top pitchers in Broward, who came in with an ERA of 0.84, was on the mound for the Patriots, and he was facing off with Westminster’s Kevin Martin, who had only given up one earned run in 22 innings coming into Wednesday. Both team aces performed up to their reputations. Martin was nearly flawless, going five innings, allowing only three hits, and striking out seven. Cabarcas was equally dominant, going 5.2 innings, allowing only one earned run. The game was scoreless heading into the fourth, when freshman Warriors sensation Sal Stewart drove a ball over the left-field wall for the first run of the game. The inning, however, also showed that Westminster can play small ball when needed. After the home run, the Warriors put runners on second and third, and Jayden Melendez put down a perfectly executed squeeze, upping the lead to 2-0. On a normal day, having a two-run lead with their ace on the mound would be enough for Westminster. But, on a normal day, they wouldn’t be playing a team with as much talent and as much will to win as themselves. In the seventh, Jordan Carrion reached on a one-out walk off reliever Jamar Fairweather. Gavin Casas, who had hit the ball hard earlier with nothing to show, then dropped a bloop single to left, putting runners on first and second. Matt Ruiz was hit by a pitch, and after a strikeout, Kolbe Aven came through with the biggest Patriots hit of the night, a two-RBI single to left, tying the game. Fairweather then worked out of the jam, and it was on to extra innings. Both teams had opportunities in the extra frames, but defensive gems kept the game tied. In the eighth it was a double play started by Carrino on a hard-hit ball off the bat of Carrion. 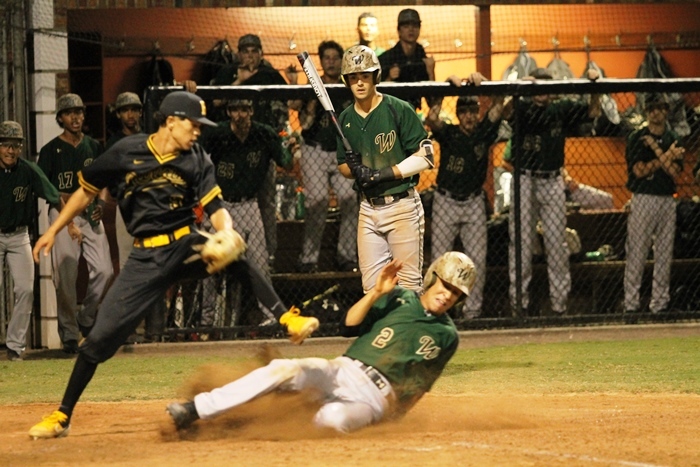 In the ninth it was the Warriors Lucas Costello coming up with a game-saving play at second base. 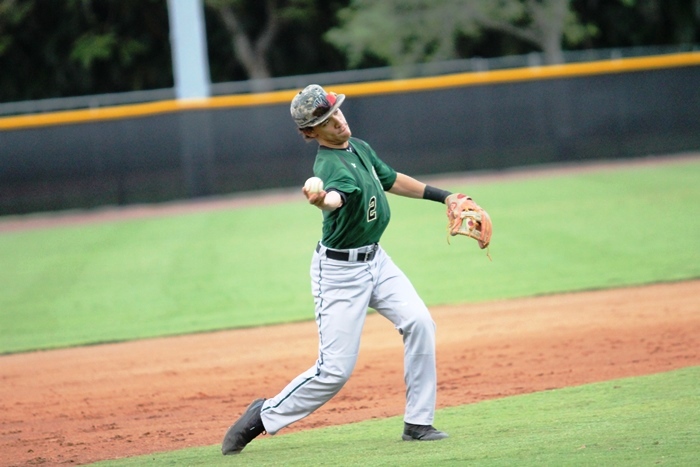 Earlier in the game, Westminster’s Raul Ibanez tracked down a deep drive off the bat of Casas to save extra bases. “You’re going to get great defense when you have two teams of this caliber,” said Castellanos. In the top of the 11th, the Warriors threatened again, and it looked like a defensive gem was going to get the Patriots out of the inning. Richard Benitez was hit by a pitch to lead off the inning. Ibanez walked, as did Martin, loading the bases with nobody out. Stewart then squared up a ball and hit a shot that second baseman Hunter D’Amato snared and turned into a double play. A wild pitch, however, allowed Benitez to score with the eventual winning run. Despite the loss, Heritage appears ready to make their usual postseason run, and has more than enough talent to get where they need to go, as long as the players buy in. As for Westminster, Castellanos knows how special this team can be.